Summary: 12-year-old Dasha is crushed when she learns that her mother is spending a year at the University of Illinois, leaving Dasha with her grandparents in the Soviet Union. Her father is living in Los Angeles, so Dasha feels lonely, despite her loving grandparents and two best friends. During the year, she goes through some friendship difficulties, develops an unrequited crush on an older boy, and works hard to get into a better school. Meanwhile, political unrest results in a few anxious days until Boris Yeltsin replaces Mikhail Gorbachev as the Soviet leader. Things are beginning to fall into place by the spring, when her mother returns, announcing that Dasha will be joining her for the second year of her master’s program. The book ends on an uncertain note, as Dasha arrives in Urbana, Illinois, and meets a girl who just might be a new friend. 168 pages; grades 5-8. Pros: Even though she is from a different place and time, Dasha’s feelings will be familiar to 21st century American tweens. 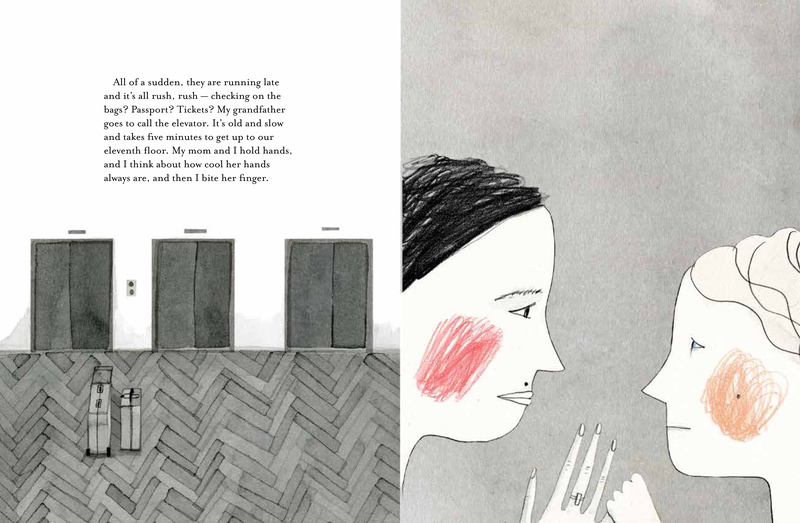 A cross between a graphic novel and an illustrated chapter book, A Year Without Mom will appeal to both reluctant and avid middle school readers. Cons: Some of the Soviet references may be a bit confusing for post-Cold War readers.